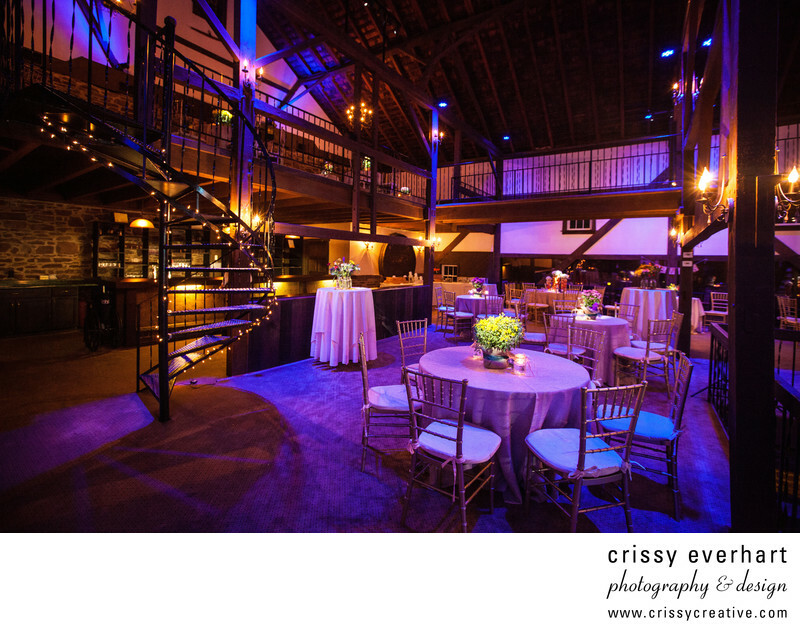 Blue and purple lights set the mood for a party at the Barn on Bridge in Phoenixville, PA. This rustic old barn is the perfect space for smaller guest count weddings. The venue is beautiful inside and out, and is so customizable to your own style!